"Certainly as good [as Capote] and a lot more fun. Toby Jones is so physically right, you'll think Capote is playing himself." - Jack Mathews, NEW YORK DAILY NEWS 1959 Manhattan was a party, and none of the glitterati glittered brighter than Truman Capote. Then he saw a story in The New York Times: "Wealthy Farmer, 3 of Family Slain," and the party ended for Capote. He plunged into the murder case that inspired his great "nonfiction novel" In Cold Blood and led him into a fevered relationship with one of the two doomed killers. But there's more to the story than you know. 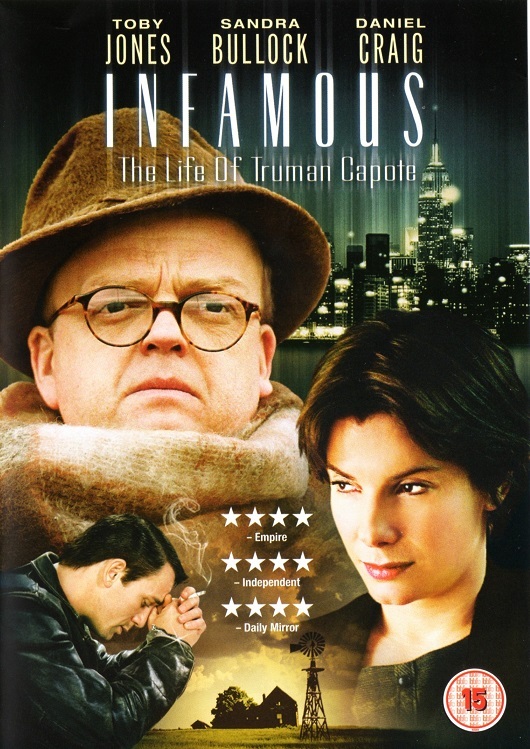 Toby Jones (as Capote) leads Sandra Bullock, Daniel Craig, Sigourney Weaver and many more stars in a witty, moving and astonishing tale of obsession. What happened to the extraordinary literary talent that burned within Truman Capote? The answer may be found in a story at once famous and Infamous.